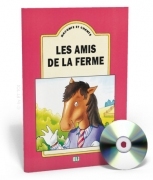 Raconte et chante - Les amis de la ferme + CD audio is a short story in song for absolute beginners in primary school. 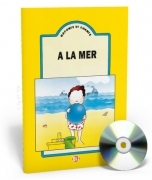 The beautiful illustrations, CD audio and musical score included with each story encourage children to follow along with the text, sing, and dramatise the story, enhancing and advancing the learning...more..
Raconte et chante - A la mer + CD audio is a short story in song for absolute beginners in primary school. The beautiful illustrations, CD audio and musical score included with each story encourage children to follow along with the text, sing, and dramatise the story, enhancing and advancing the learning process. 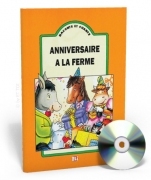 more..
Raconte et chante - Anniversaire à la ferme + CD audio is a short story in song for absolute beginners in primary school. The beautiful illustrations, CD audio and musical score included with each story encourage children to follow along with the text, sing, and dramatise the story, enhancing and advancing the learning...more..
Raconte et chante - Monsieur l'arbre et la petite fille + CD audio is a short story in song for absolute beginners in primary school. 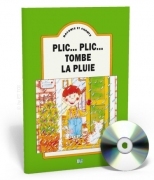 The beautiful illustrations, CD audio and musical score included with each story encourage children to follow along with the text, sing, and dramatise the story, enhancing and advancing the...more..
Raconte et chante - Plic... plic, tombe la pluie + CD audio is a short story in song for absolute beginners in primary school. The beautiful illustrations, CD audio and musical score included with each story encourage children to follow along with the text, sing, and dramatise the story, enhancing and advancing the learning...more..
Raconte et chante - Un pique-nique + CD audio is a short story in song for absolute beginners in primary school. The beautiful illustrations, CD audio and musical score included with each story encourage children to follow along with the text, sing, and dramatise the story, enhancing and advancing the learning process.more.. Videos are the ideal material to stimulate listening and oral skills. Amusing cartoons, traditional songs presented as karaoke activities, all provide perfect ideas for listening exercises and for helping with pronunciation. An attractive and efficient way to overcome phonetic problems. Songs: -...more.. Videos are the ideal material to stimulate listening and oral skills. Amusing cartoons, traditional songs presented as karaoke activities, all provide perfect ideas for listening exercises and for helping with pronunciation. An attractive and efficient way to overcome phonetic problems. Songs: - Frère Jacquesmore.. Videos are the ideal material to stimulate listening and oral skills. 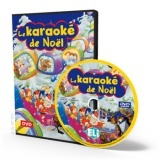 Amusing cartoons, traditional songs presented as karaoke activities, all provide perfect ideas for listening exercises and for helping with pronunciation. An attractive and efficient way to overcome phonetic problems. more..